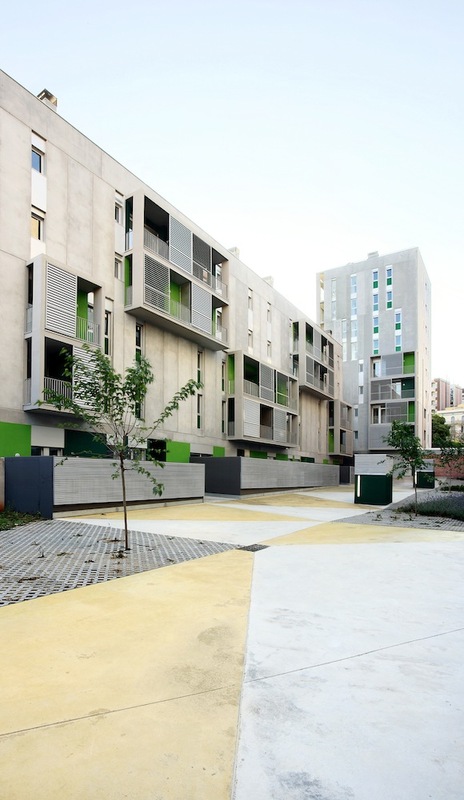 Cities Connection Project | 58 SOCIAL HOUSING. LES CORTS, BARCELONA. To give a response to the multiplicity of scales in the setting, by using the volumetric fragmentation and the layout (grouping and rhythm) of the façade window spaces and balconies. 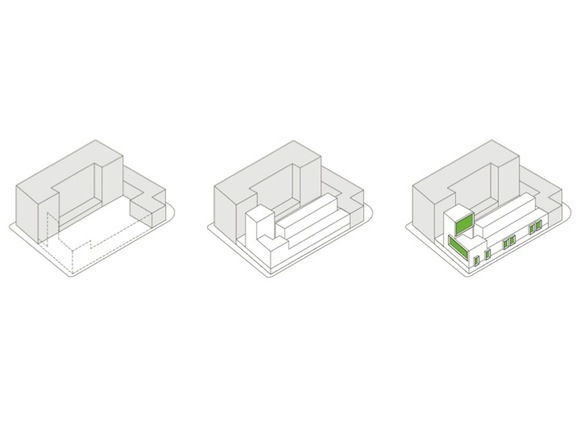 To provide each apartment with the corresponding specificity according to its placement in the building. avoiding form as a result of the addition of a single type. To use architectural form as a strategy of comfort, working with emptying the volume in order to guarantee maximum isolation and natural cross ventilation. In the south-facing façades, galleries with solar protection are placed, in order to regulate the energy exchange.